Santa visits can be stressful for many children. The noise, the crowds, the slow-moving lines — these are hard for most children. Adults and children alike that struggle with their reaction to bright lights, loud noises, and unexpected touch may avoid these activities altogether. However, the Champaign-Urbana area has fantastic resources available for children wishing to see the man in red. 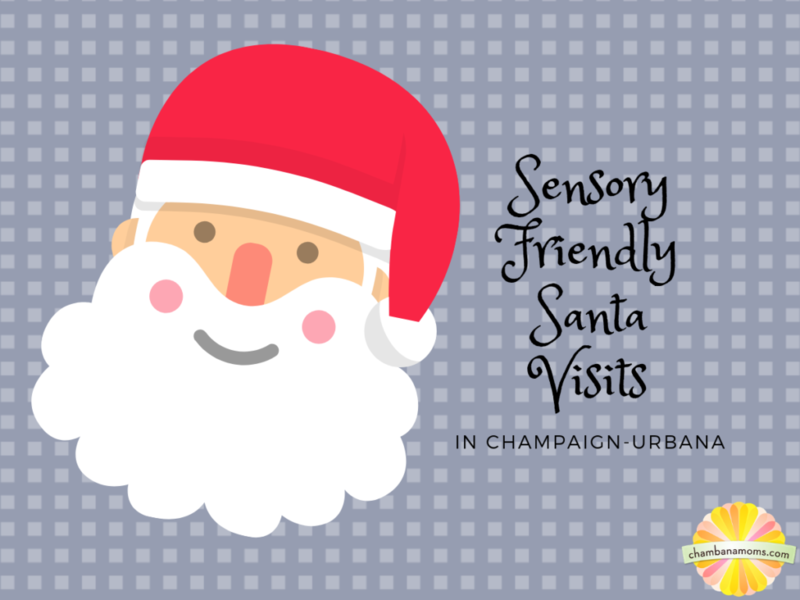 Below, we’ve listed sensory-friendly Santa meet-and-greet opportunities that are available around the Champaign-Urbana area this holiday season. A few have registration deadlines: see below. Dec. 8, 9-11 a.m.: CU Autism Network Breakfast with Santa includes breakfast, cookie decorating, and more with Santa. Check with hosts to see if space is still available. Dec. 8, 1-3:30 p.m.: Disability Resources & Educational Services at UIUC Holiday Party Open House is hosted by Delta Sigma Omicron (DSO), the disability service organization at the University of Illinois, C-U Special Recreation, and AMBUCS and is open to all children with disabilities and their families in the Champaign-Urbana area. Register by Nov. 30 via the link above. Dec. 8, 9:30-11:30 a.m.: Down Syndrome Network Holiday Party Attendees must register by Dec. 5. Dec. 8, 10:00 a.m. – 1:00 p.m.: Autism Services Group is hosting a Sensory Santa event with minimal noises, reduced lines, and free refreshments. This event is created for children with special needs and their families. Dec. 9, 12:30-2:30 p.m. and Dec. 14, 9-11 a.m.: At Stephens Family YMCA, Santa visits during the first hour will be sensory friendly and take place in the community room. During the second hour, visits will be held in the lobby where there will be more exposure to noise level, crowds, etc. No registration. Looking for more information on resources for children and individuals with special needs in our community? Be sure to check out the Chambanamoms.com special needs resource guide here. Are we missing your sensory friendly Santa event? Be sure to email us and let us know!